Today is the big day for Disney’s Big Hero 6 as the highly anticipated animated film opens in theaters nationwide. I had a chance to take my almost six-year-old, Oscar, to a screening of the movie last week and I am super excited to tell you all about it! This post contains spoilers to help parents decide if it’s right for their kids. .
Hiro Hamada’s older brother Tadashi has created a cutting-edge robot, Baymax, who’s designed to take care of people,” says director Don Hall (“Winnie the Pooh”). “Baymax’s one programmed desire is ‘How can I help?’ He’s filled with compassion. And Hiro is a teenager who has lost his way—their personalities play off each other in a way that is both funny and heartwarming. 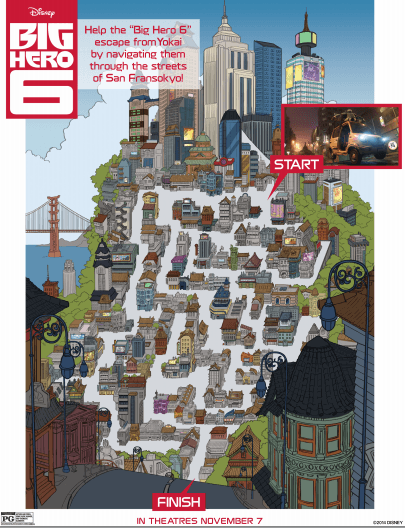 Set in fictional and futuristic San Fransokyo, Big Hero 6 is full of laughs, tears, and plenty of action. I love the focus on robotics and “nerd school,” showing viewers that it’s cool to be smart. Before we even meet Baymax, Big Hero 6 does an amazing job of drawing the viewer in. There were several times during the movie that I had to remind myself it was animated! Oscar and I loved watching the action scenes and laughing together as Baymax bumbled around trying to learn from Hiro. Watching movies with Oscar is getting really fun because he is really starting to understand humor. There is nothing better than laughing together with your kids! Oscar said his favorite part was watching Hiro present his invention. To hear him focus on the invention when he could have said something like fighting or flying around, was pretty cool. Of course understanding humor also means understanding sadness. The story of Big Hero 6 follows a traditional superhero coming-of-age formula where loss motivates action and teaches many lessons in the process. In general, I like kids’ movies to be fun and adventurous and a bit on the silly side. Big Hero 6 definitely delivers all of these things, along with the addition of some unexpected loss. This was a bit tough for my almost six-year-old to process, so a word of warning to parents of kids who have trouble with sadness and loss in films, there will be tears. I think his words perfectly capture the feelings I had during this movie. It was surprisingly deep and at some parts incredibly sad. This was definitely unexpected for me and for Oscar who was looking forward to lots of bot-fighting and a super-villain. Since seeing Big Hero 6, Oscar and I have had some really great conversations about storytelling and feelings. Had I known the depth of the story beforehand, I probably would have waited until he was a bit older to let him watch. But now that we experienced the movie together I can’t say I regret taking him. At just shy of six, there were a few concepts he didn’t understand and even after explaining them, he didn’t quite get it. Overall, the bad wasn’t necessarily bad, just a bit more emotional than what we were expecting. The characters were fun and diverse, the animation was amazing and there was a good overall takeaway so I know plenty of people will love this movie. There is definitely something to be said for any movie that can make you feel so much and I think now that we know the story, watching it again will only get better and more exciting. My recommendation for parents is just to know your child and what they are sensitive to. I think Big Hero 6 is great for age 7 and up. Finally, I just have to mention the short that plays before the movie. Called, “Feast.” This little mini-movie will steal your heart and maybe even bring a tear to your eye in the best ways. I just loved it and I bet you will too! We’re already seeing Big Hero 6 Books , toys and video games pop up in the holiday catalogs, but if you want to have a little fun for free, check out the printables below! Just click to open the pdf and print away. 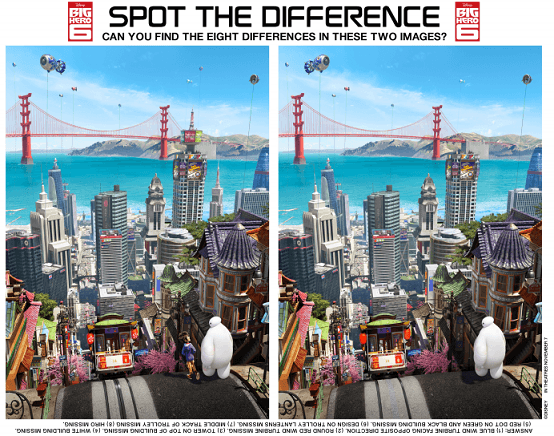 Will you be seeing Big Hero 6 this weekend? I’d love to hear what you and your kids thought of the movie. Let me know below in the comments! I’ve been really enjoying the ads for this movie & looking forward to it, but I’m glad you warned about the sad parts. Catie gets *really* into whatever movie we’re watching, and cries at the slightest hint of sadness, so I’m thinking we may wait until it’s on DVD and watch it at home. 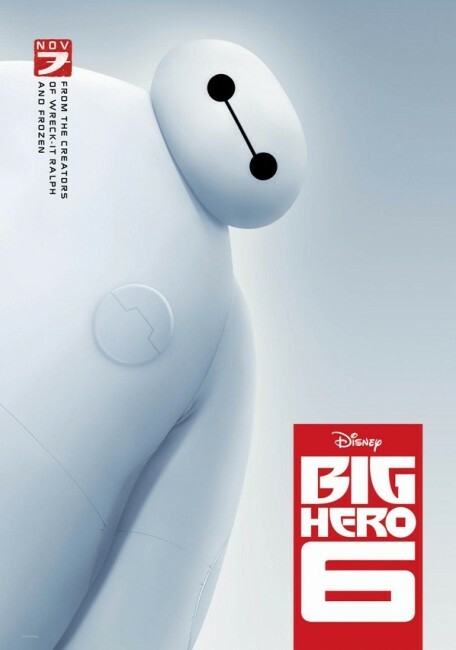 I had no idea the character’s name was Baymax – like BetaMax? That’s funny. Probably not a bad idea in your case. If you can find a way to sneak out and see it for yourself, I think you’d love it on the big screen.